Croft Auto Centre technicians are approved by the Government appointed Driver and Vehicle Standards Agency (DVSA), formerly known as Vehicle and Operator Services Agency (VOSA) and all MoT tests are completed by MoT testers nominated by DVSA. 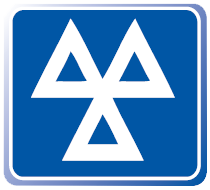 You can have an MoT test completed up to one month before the expiry of your MoT. Why not service your car at Croft Auto Centre at the same time as your MoT? With trained technicians, the latest diagnostic equipment, guaranteed parts and labour - why pay more elsewhere? During the MoT test the nominated tester, a person authorised by the government body called DVSA (Driver and Vehicle Standards Agency) will conduct an inspection and a comprehensive series of checks around the vehicle, including the interior, exterior, under the bonnet and under the vehicle. The result of each check is recorded- if the vehicle passes a VT20 ‘pass’ certificate is issued. If the vehicle fails to meet the required standard a VT30 ‘failure’ document is issued. Items that are not quite a failure, but worthy of a mention to you so you can keep an eye on them are drawn to your attention as ‘advisory’ items. It is your responsibility to ensure your vehicle is examined every 12 months. Without a current MoT certificate, you will be unable to drive your vehicle lawfully or renew your road fund license. Recent computerisation of the MoT testing system by DVSA means police and mobile camera units can now check remotely to see if your vehicle has a current MoT. An MOT test will check the components below, before a valid MOT certificate is issued. Further Information can be found on the government MOT website.